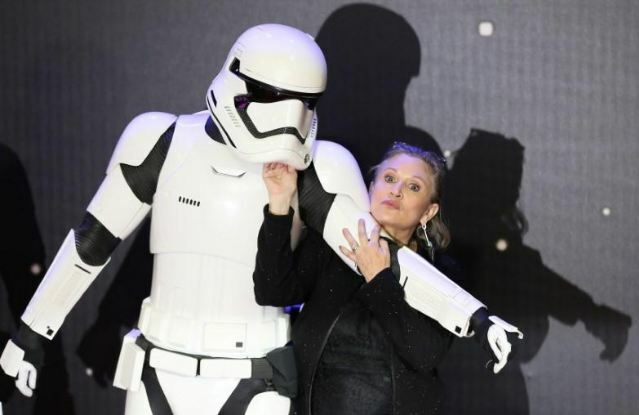 Carrie Fisher will be featured in the next “Star Wars” movie, using previously unseen footage she recorded before her death, Walt Disney Co. studio said on Friday. Actor Mark Hamill, whose Luke Skywalker character appeared to die in last year’s “Star Wars: The Last Jedi,” will also appear in the next movie, which will start filming in London on Aug. 1, Disney said in a statement. “We desperately loved Carrie Fisher,” director J.J. Abrams, who will direct “Episode IX,” said in a statement. Disney said after Fisher’s death that the script for the ninth movie was being reworked. Billy Dee Williams will reprise his role as scoundrel Lando Calrissian, who was first seen in 1980’s “The Empire Strikes Back” and 1983’s “Return of the Jedi,” the Disney statement added. Williams will join returning cast members Daisy Ridley, Adam Driver, John Boyega, Lupita Nyong’o and Kelly Marie Tran, the studio said. “Episode IX,” which has yet to get a formal title, is due to arrive in movie theaters worldwide in December 2019. Disney and Lucasfilm announced last year that the release date for “Episode IX” had been pushed back six months to December 2019 and that Abrams had been hired to write and direct after the departure of original director Colin Trevorrow. The “Star Wars” franchise is among the most valuable film properties in the world. “The Force Awakens” took in more than $2 billion at the global box office while “The Last Jedi” raked in $1.3 billion.